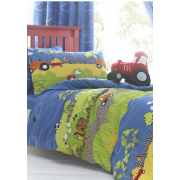 Your little one will love this farm print duvet cover and pillowcase set from Just Kidding in blue. 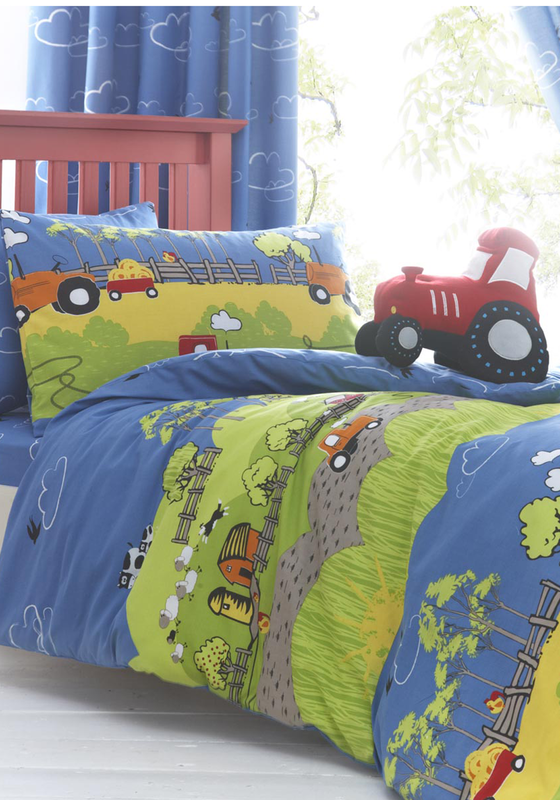 It has a bright farm print with tractors and farm animals and the cover comes two matching pillowcases. Brighten up their bedroom with this adorable set.